It has been an exciting month for Drive, Chip and Putt. 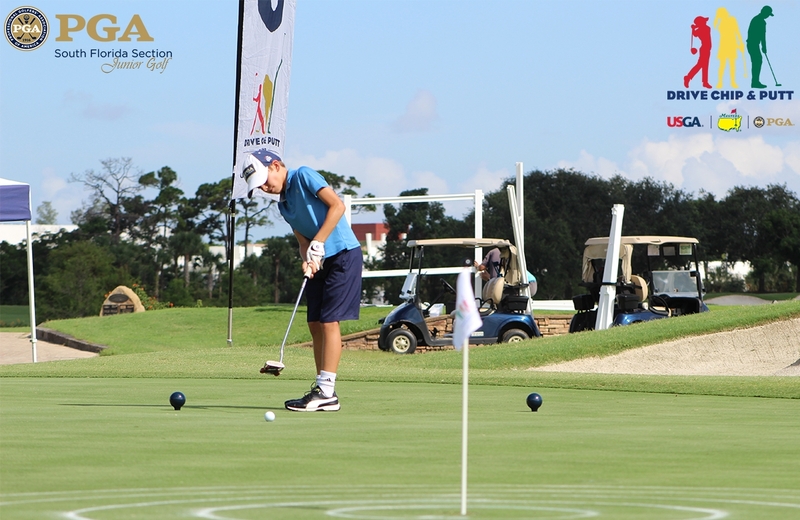 We have had a total of 403 participants competing in local qualifiers at PGA Center for Learning and Performance, The Old Course at Broken Sound Club, Stoneybrook Golf Club of Estero, and Country Club of Miami. .Every participant went through each station; driving, chipping and putting. We are excited to announce the following individuals who qualified to move onto the sub regional qualifiers at Bonita Bay Club on August 11th and Lost Tree Club on August 18th. From two of these local qualifiers 48 participants will be moving on to the sub-regional competition at Lost Tree Club. These 48 participants competed at PGA Center for Learning and Performance and The Old Course at Broken Sound Club. From Stoneybrook Golf Club and Country Club of Miami 46 participants will be moving on to the Sub-Regional qualifier at Bonita Bay Club. We have a full schedule for the month of July as we finish up all of our local qualifiers. We already had 90 participants compete at PGA National on July 5th and have a total of 386 participants to compete at Vineyards Country Club, Weston Hills Country Club, and The Club at Ibis. For more information on how to register for a local qualifier near you click here. If you are interested in volunteering for any of the upcoming Drive, Chip and Putt events please contact mtemple@pgahq.com.